BABY GHOSTS LPs Shipping Now! 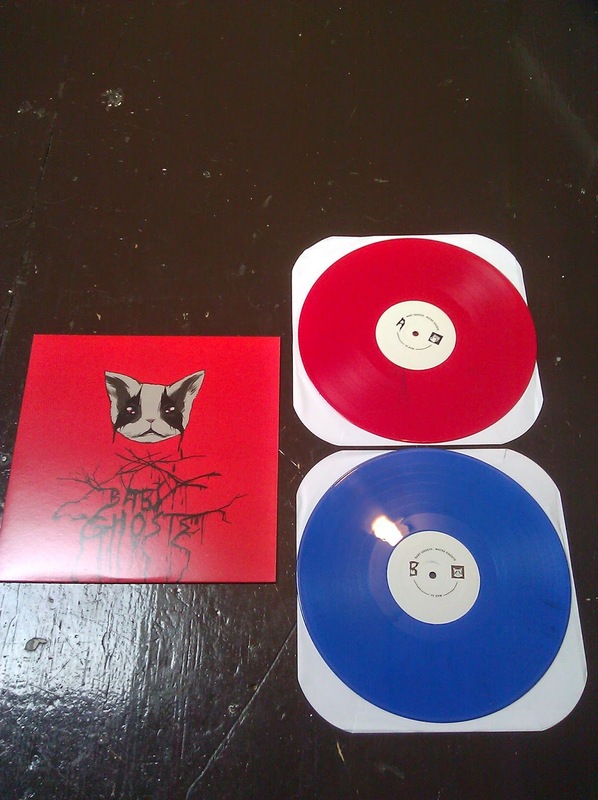 The Baby Ghosts LPs are here and they look great! Pre-orders are shipping out today and Monday and any orders made from now on will ship out like normal. Snag a color copy while there are a handful still around. Poor Choice - Teenage Love Is Beautiful 7"
Twerps - I'm Stupid 7"
Vegan Reich - Hardline 7"
Cracked Vessel tape is down to its last copy, as is the Coward 7". Baby Ghosts color copies are still creeping out the door. I'll be out of town next week, but any orders will ship on my return and by that time BABY GHOSTS pre-orders should be close to shipping as well! More stuff when I get back!